Did you know that the word 'signature' has about 12 different meanings? One of the definitions is 'any unique, distinguishing feature, or mark'. I think that describes this ring. It's more than a plain band and will be uniquely yours. It is about 4mm wide and the top silver wire goes all the way around the ring. Like life, it sometimes gently flows and other times it is more turbulent. 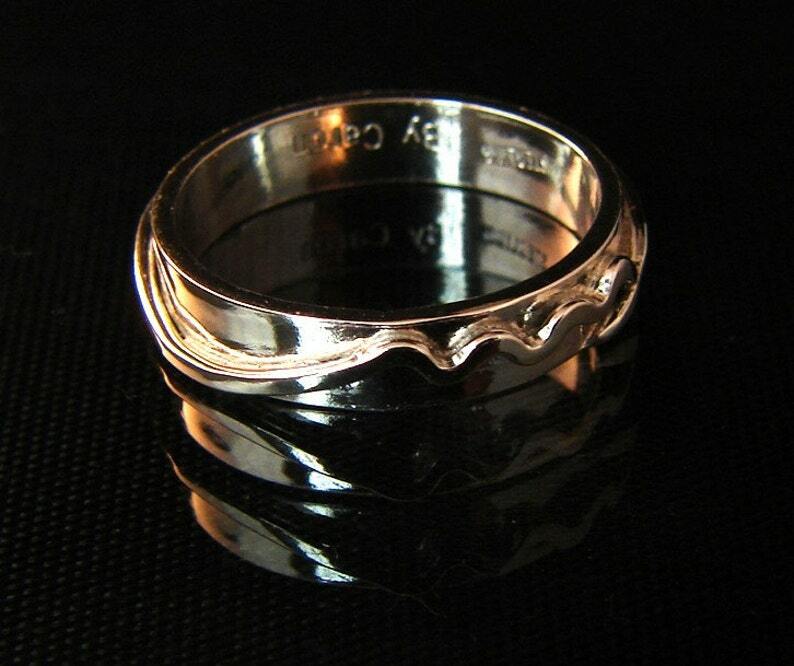 This one of a kind sterling silver ring was handmade. Life is too short to wear ordinary jewelry! This ring is a snug size 7. My rings come in a lovely ring box ready for giving. It will be beautifully packaged and will arrive by insured mail within the US. For my international customers, I use flat rate priority whenever possible.